Sabahans Celebrate “Prosperity Begins With A POP!” in Vibrant Red, Blue, Pink and Green Ahead Of CNY! 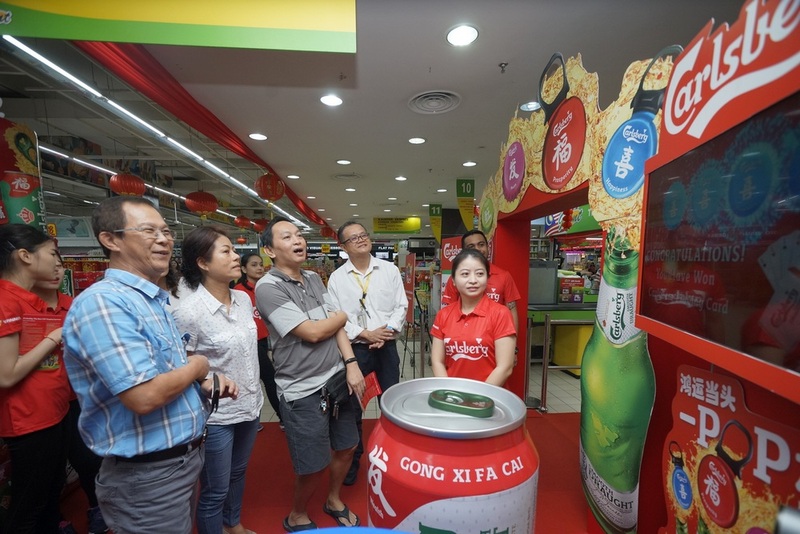 FREE groceries, attractive prizes and cash ang paus up for grabs with Carlsberg’s “Prosperity Begins With A POP!” CNY campaign! 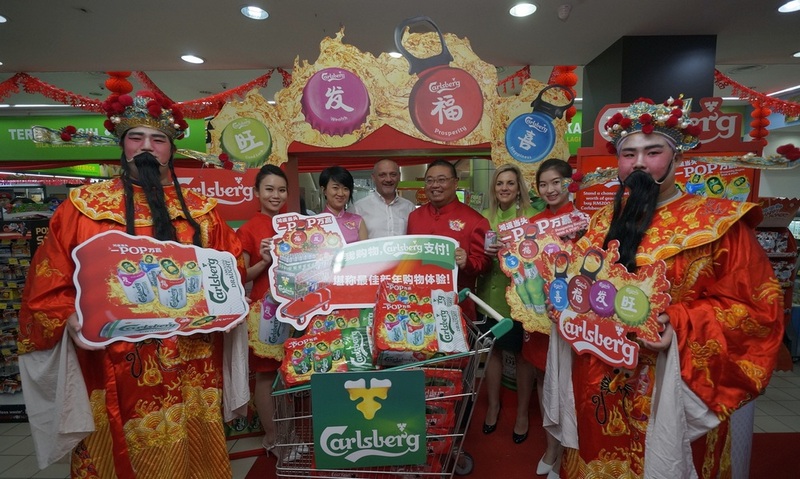 Sales Director of Carlsberg Malaysia Gary Tan (fourth from left) officiated Carlsberg’s CNY campaign “Prosperity Begins With A POP!” in Sabah at Giant Hypermarket City Mall which runs till 17 February 2019 nationwide. 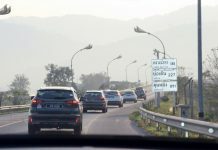 Kota Kinabalu, 17 January 2019 – Carlsberg wishes its consumers in Sabah an abundance of Prosperity (Fú), Happiness (Xĭ), Wealth (Fā) and Good Luck (Wàng) through its vibrant red, blue, pink and green colours found across its limited-edition festive packaging in Carlsberg and Carlsberg Smooth Draught big bottles and small cans. At a launch ceremony in Giant Hypermarket City Mall, Kota Kinabalu, media and trade guests joined Carlsberg to usher in the New Year unveiling its promotional campaign “Prosperity Begins With A POP!” currently held nationwide which commenced on 24th December 2018 and runs till 17th February 2019. “Proud to be in the forefront of innovation, we celebrate this CNY with not just one colour – red but three, adding vibrant blue, pink and green – to Carlsberg and Carlsberg Smooth Draught bottles and cans, giving a modern twist to the four Chinese greeting messages of Prosperity, Happiness, Wealth and Good Luck!” said Gary Tan, Sales Director, as he ‘popped’ a Carlsberg Smooth Draught to officially launch the campaign. 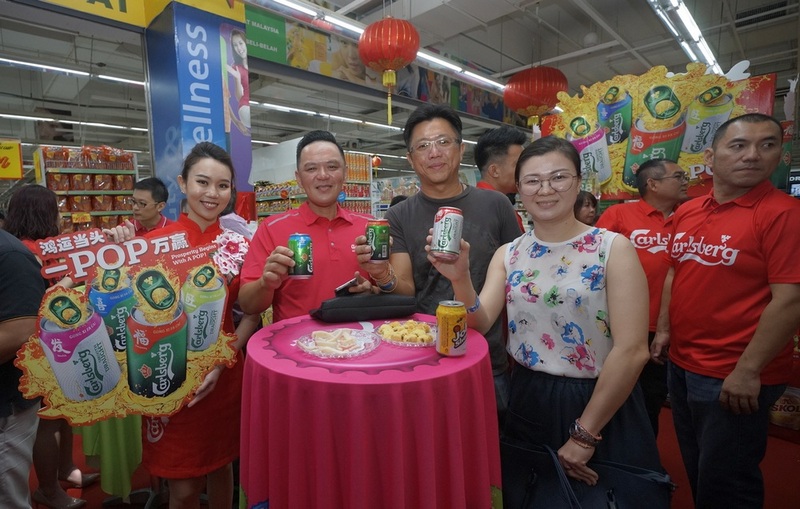 Carlsberg’s “Prosperity Begins With A POP!” CNY campaign includes ongoing activities and promotions carried out across pubs, restaurants, food courts, coffee shops, convenience stores as well as super-and-hypermarkets. Media and trade guests attended the launch ceremony as Carlsberg ushers in the New Year in vibrant red, blue, pink and green colours wishing beer lovers with auspicious messages Prosperity, Happiness, Wealth and Good Luck on Carlsberg and Carlsberg Smooth Draught limited edition festive packaging. For the first time, Carlsberg brings to Sabah “Probably The Best CNY Shopping Experience – You Shop, Carlsberg Pays!” where consumers who spend RM200 on Carlsberg products will get to participate and stand a chance to win FREE groceries worth RM800 all paid for by Carlsberg! There are also other fabulous prizes like FREE BEERS up for grabs! Carlsberg brings to Sabah shoppers a chance to win RM800 worth of groceries fully paid by the brewer. 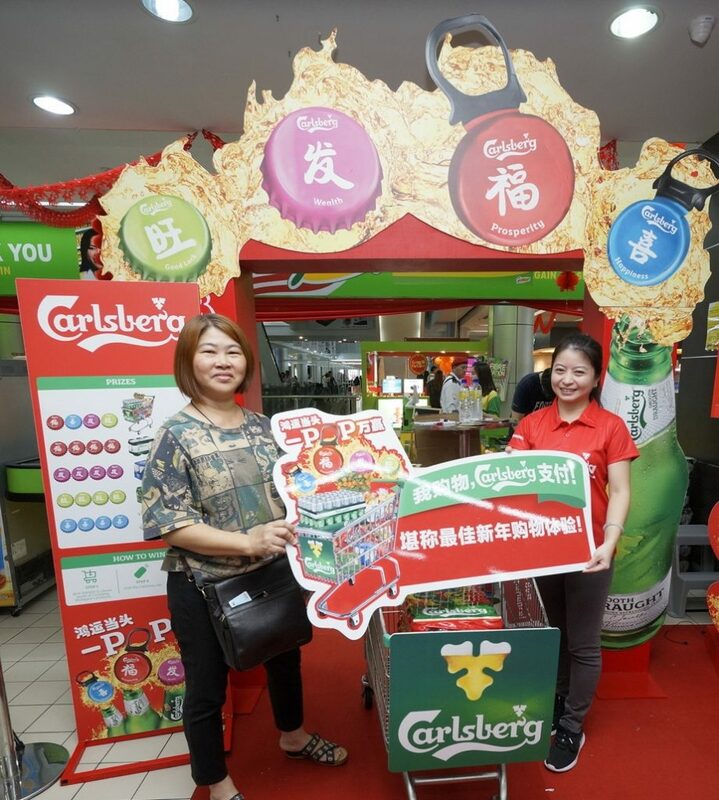 For the first time in East Malaysia, the “Probably The Best CNY Shopping Experience” rewards beer lovers who purchase Carlsberg Malaysia products with fun and awesome prizes! Guests enjoyed Carlsberg and Carlsberg Smooth Draught and admired the vibrant twist of colours on its limited edition festive packaging in red, blue, pink and green colours. Hypermarket City Mall saw happy shoppers walking home winning great prizes! Head over to Everrise Imago (Jan 19), Servay Hypermarket Penampang (26 Jan) and City Grocer Suria Sabah (Jan 27) and get lucky as the activation takes place between 12pm to 3pm only! Also up for grabs are Grand Prizes consisting of electronic mahjong table sets that auto shuffles and sorts game tiles that comes in two sets for convenience and hassle-free enjoyment, limited edition mahjong sets, RM100 cash ang paus and playing cards. Just check the icon under the bottle caps when enjoying Carlsberg and Carlsberg Smooth Draught big bottles at participating coffee shops and food courts to win. Purchase RM200 worth of Carlsberg Malaysia’s products and you will qualify to participate in “Probably The Best CNY Shopping Experience – You Shop, Carlsberg Pays!”. Enjoy Carlsberg or Carlsberg Smooth Draught at bistros, restaurants and pubs to get a deck of playing cards that could win you a RM100 beer voucher! Guests captured their best shots to personalise e-greeting cards to send to their friends and family this CNY and enjoyed Chinese delicacies paired with Carlsberg and Carlsberg Smooth Draught. 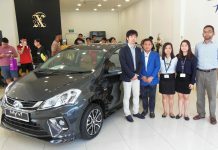 Head over to Servay Hypermarket Penampang (26 Jan) and City Grocer Suria Sabah (Jan 27) and get lucky as the activation takes place between 12pm to 3pm only! Start enjoying Carlsberg and Carlsberg Smooth Draught NOW and take advantage of these abundant and fantastic offers to celebrate a vibrant and happy Lunar New Year! For more info and T&C, check out www.facebook.com/CarlsbergMY or visit www.probablythebest.com.my.